Haemi Martyrdom Holy Ground is the site where nearly 1,000 Catholics in Chungcheongnam-do were buried alive during the time between the Byeongin Persecution in 1866 (3rd year of King Gojong) and 1882 (19th year of King Gojong). 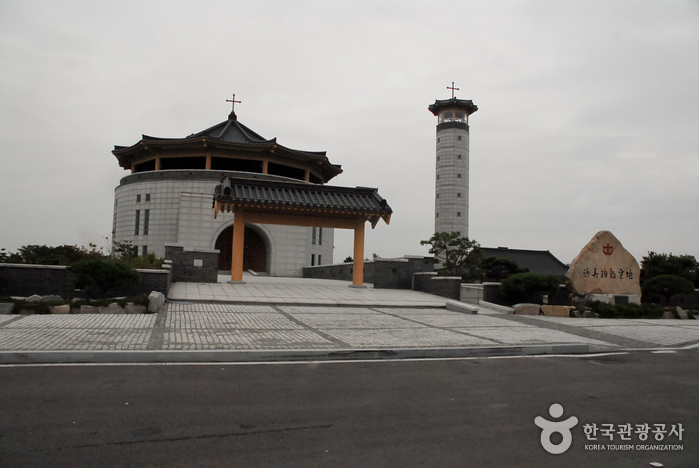 At that time, Catholics were executed outside Haemieupseong Fortress’ Seomun Gate (West Gate). As it was difficult to execute them one by one, the martyrs were buried alive in a big hole all at once. When confronted with their death, the martyrs prayed while singing ‘Yesumaria’ (Jesus Maria). Because it also sounds like “Yeosumeori” (여수머리), the place was called ‘Yeosutgol’ as well. 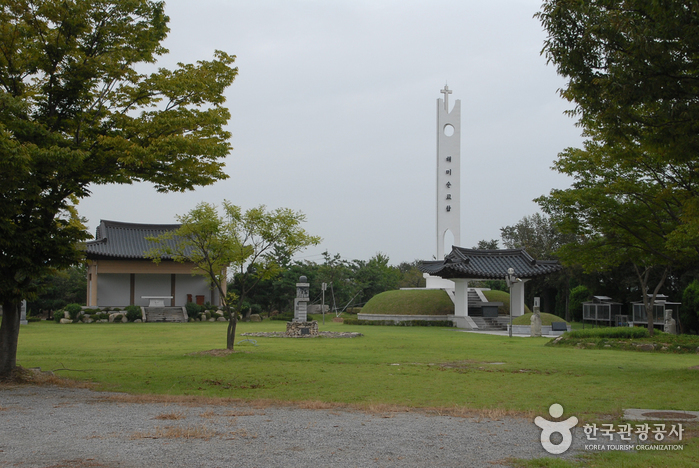 The 16-meter-high memorial tower was set up near Haemicheon Stream to pay tribute to the nameless martyrs who were buried alive. 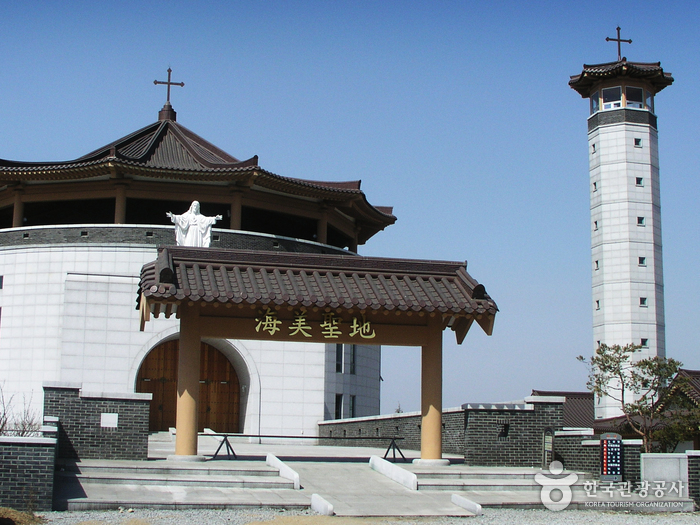 Many Catholics visit this location every year to remember and honor the martyrs who sacrificed their lives for their belief.